Since Connecticut's most racially-divisive Republican is now Tom Foley's running mate, I thought it would informative to educate those not familiar with Danbury to the effect Boughton's anti-immigrant policies has had on those who live in the city. Mayor Boughton, his administration, and the elected officials who are directly responsible for dividing this city among ethnic lines are doing everything in their power to make the general public believe that the topic of xenophobia and anti-immigrant racism is not an issue in Danbury. As evident by the hate-crime that was committed in the city back in October, the continued taunts and racial slurs directed towards the immigrant community, and the failure of people loyal to Boughton to even acknowledge the fact that racism the persist in the area, Danbury has earned the distinguished honor or being the most racially insensitive city in the state of Connecticut. From the passage of a so-called noise/volleyball ordinance that was directed towards the Ecuadorian community, the so-called parade ordinance (a proposal designed to squash spontaneous celebrations associated with the World Cup games), to the outlandish claims used by supporters of ICE ACCESS as a rationale for the passage of unnecessary program, for years, members of the Common Council have mirrored the mayor's rhetoric and carried out his anti-immigrant agenda. Just like Boughton, when forced to address the racial divisiveness in Greater Danbury, these council members who are loyal to Boughton turn a blind eye to the matter…and in some cases refuse to acknowledge that the problem exists in the city at all. The issue of immigration has been very divisive for our community. How would you change the tone of the debate and reduce tensions among Danbury residents? As you watch the video clip, pay CLOSE attention to the reaction to the question from the VERY members of the council who are most responsible for the anti-immigrant legislation in the city that was described earlier. This immigration issue…I don’t think the question is divisive as the question poses. Then in the next breath, continuing to ignore the issue, Arconti goes on a rant about his blind support for ICE ACCESS… something that has absolutely nothing to do with the moderator’s question. …and in speaking with my constituents, I found that this was as issue that most people were in favor of having ICE ACCESS for the Danbury Police officers…. In his rationale for ICE ACCESS, according to Arconti, in JULY 2004 Danbury Police officers located a convicted illegal immigrant, and took him into custody. Now if the police department was able to apprehend and identify, an undocumented immigrant with a felony criminal record and take him in to custody without ICE ACCESS, then how is can this be a rationale for having ICE ACCESS in Danbury? 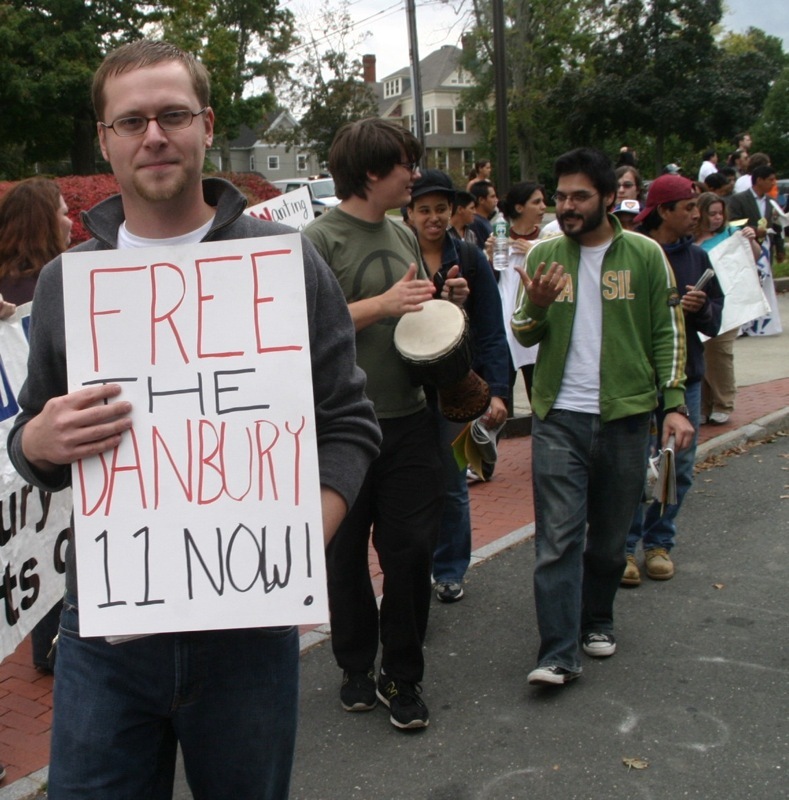 This ONE incident (an incident in which the police had no problem finding the individual without the assistance of the ICE ACCESS program) is the basis of Arconti’s justification for ICE ACCESS in Danbury….although Mayor Boughton has bragged during his tenure as mayor (2001-present) that Danbury enjoys one of the lowest crime rates in Connecticut? Would anyone want to guess how many undocumented immigrant criminal felons are there in a city that has one of the lowest crime rates in the state? Based on Arconti’s own statement, it seems like the Danbury Police Department was doing quite well without ICE ACCESS, which is not surprising seeing that the police department were not the ones who requested that the city get involved with ICE ACCESS in the first place. That piece of micromanagement goes to the Republican members of the Common Council who pushed for ICE ACCESS in without the police department ever requesting the need for the program. Lets not forget that Arconti completely original question which had to do with racial tensions in Danbury, something that’s been around well before the debate over ICE ACCESS ever started. The issue of immigration was not divisive in our community, it was the issue of illegal immigration that was divisive. But I also want to…hmmm, uh…explain how Danbury also has a long history of welcoming the immigrants into our community. We have a many, many programs designed to assist the new immigrants into Danbury […] and I as a current councilwoman would continue to if elected to support our immigrant community. Notwithstanding the fact that Stanley also COMPLETELY ignored the question of racial tensions in the city, she attempted to shift the conversation by pointing out a series of programs in the area that are designed to help the immigrant community as claim that she would support these program if re-elected. There’s only one problem with her statement, she left out the largest organization who’s sole mission Danbury is to support the immigrant community with every single program she outlined...The Hispanic Center of Greater Danbury. …oh, did I mention that Stanley was one of the chief supporters of defunding the agency after the organization spoke out in opposition to the ICE ACCESS program. In short, the Hispanic Center was one of the few organizations that spoke out against the anti-immigrant policies of the Mayor Boughton and Republicans such as Stanley resented the fact that the center spoke for those who were too afraid to speak out against the anti-immigrant polices of the mayor. I don’t even accept this question at all because I think the strong point for Danbury, when I walk around and talk to my constituents, is the fact that we’re such adverse community…I just think that the problem we have with questions like this is that it’s certain people in the community that try to drum up problems. Curran couldn’t answer the question because there isn’t a problem in his “neighborhood.” Even worse, he has the audacity to say that the issue of racism in the city is a result of a certain segment of the population (immigrants…wink, wink) who want to “drum up” things. Tell to that to the thousands of people who demonstrated outside of City Hall during the ICE ACCESS vote or the THOUSANDS who demonstrated in the 2005 and 2006 rallies down Main Street or the HUNDREDS to protested against the Danbury 11 case. Somehow I get the impression that Councilman Curran’s constituents he’s in contact with don’t include to people who don’t share his skin-color. Of all the people on the panel, only one person addressed the issue with common sense…and he just happens to be a Democrat. Levy’s comment echoed a suggestion that was raised my several level-headed members of the Common Council during the vote for ICE ACCESS last year…a suggestion that’s also been largely ignored to this date. Robert Riley, a Republican on the Common Council, said the city may need to go beyond creating a steering committee. It may be time to start a task force that will work to heal the divisiveness the immigration debate has caused in recent years, Riley said. A task force formed after a race riot in 1976 proved to be effective, said Riley, a former Danbury teacher. "Maybe if we all just sat down, maybe we can have a better understanding on all sides," Riley said. In short, people on the council like Boughton, Arconti, Stanley, and Curran, are symbolic of a segment of Boughton’s political juggernaut that feels more comfortable ignoring the issue of racism in Danbury as opposed to acknowledging that the situation exist. In advance of the predictable streams of mis-statements and under-reporting in next week's News-Times "expose" on immigration, concerned citizens from across the state are preparing to strike back against the News-Times what many are calling a the lack of reporting on many of Mark Boughton's activities at City Hall. I've been asked to re-post video footage of Boughton's ramblings on immigration and other topics over the years. Obviously this is going to be a serious undertaking as there's still hours of archived footage of Boughton putting his foot in his mouth (a.k.a. outright lying to the public) on a whole host of matters. Make sure to check back over the next week as myself and others across the state prepare to rebut Sunday's News-Times' immigration piece on Boughton as well as the newspaper's lack of reporting on the mayor's activities in general. GUEST: John Hartwell, candidate State Senate 26th dist. From this month's city council meeting, here's Mayor Boughton attempting to justify his illegal move to take back a potion of the board of education's funding and daring the board to go to litigation. If the board of education was controlled by Democrats, trust me, Boughton would not had utter just an arrogant and idiotic comment. By state statue, the city council has no jurisdiction over the decisions made by the board of education. Once funding is appropriated to the school board, that elected body can do whatever they want to do with that funding...period. What we have here in this case is a situation where the mayor and members on the city council overstepped the duties as elected officials by "punishing" another elected body because they didn't agree with a decision they made in regards to offering raises to administrators. Although the mayor and city council did not ask any member of the board of education and/or school administrators ONE question about their justification behind the funding allocations, and although the city's own attorney could not come up with ONE case in the state where a municipality took a similar action, Boughton's rant reeks of the type of arrogance that eventually gets elected officials in hot water. Prior to the city council's meeting, during a past board of education meeting, a member of the board challenged the legality of Boughton's action and sought an opinion on the matter. Take note of mayor's reaction at the notion that someone would seek an legal opinion on something he did. At this point, based on the unbelievable comments from members of the council during the meeting, and the mayor's nonsense, the board of education should reject party loyalty, remember that they are a separate body elected BY THE PEOPLE, and take a stand by seeking the opinion from state's attorney general on this matter...a matter that was most likely illegal. Danbury Mayor Mark Boughton has gone too far and has overstepped boundaries in his attempt to cut the already approved education budget. The mayor has called the 2.5 percent raises to four people irresponsible at a time when an intermediate school is closing in the city and other cost-saving measures are being instituted. He has a point. Every expenditure must be carefully weighed when it comes to educating children -- no matter the frugality of the economic times. But it is too late. The mayor and the City Council had their chance to review the proposed education budget; they took the responsibility seriously and allowed a less than 2 percent increase above the previous year. It was up to the Board of Education to work with that amount, though the increase was only half of what was requested. Neither the mayor nor the City Council ought to have line-item veto power over the Board of Education. All three arms of local government, after all, are elected by voters. Schools Superintendent Sal Pascarella is offering to return his increase to the education budget, after he pays taxes, to be used for the new literacy center. The net increase, without Pascarella's raise, comes to about $10,000 in a $114.1 million budget. 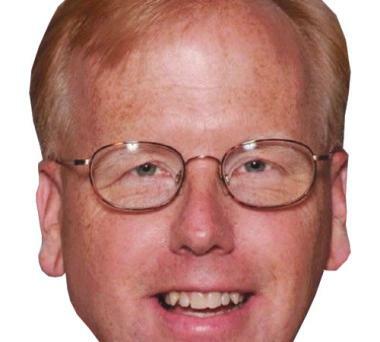 Mayor Boughton's suggestion, which was referred to committee last week by the City Council, amounts to posturing. We are not quibbling about the salaries or whether they are deserved. Our position is based on the fact that the mayor and the City Council ought not to try to override the Board of Education and manage its budget line by line. For trying to do so, Mayor Boughton, a former teacher, should get called into the principal's office. Legal counsel give opposing opinions regarding Boughton's board of ed "punishment"
From September's city council meeting, here's video footage of residents speaking in opposition to the proposed Army training facility at Lee Farm. Here's the last honest man in Danbury earlier today...in Hartford. On Sunday, Congressman Chris Murphy made an appearance on Face the State to address many of the issues that will be on the minds of voters this November. I finally broke down and created a twitter account for HatCityBLOG. To follow me, click here.